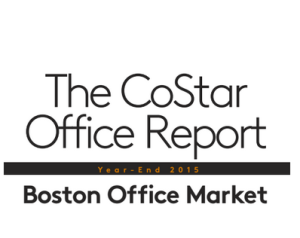 The Boston Office market ended the fourth quarter 2018 with a vacancy rate of 7.6%. The vacancy rate was up over the previous quarter, with net absorption totaling positive 27,397 square feet in the fourth quarter. Vacant sublease space increased in the quarter, ending the quarter at 2,348,220 square feet. Rental rates ended the fourth quarter at $23.28, an increase over the previous quarter. A total of six buildings delivered to the market in the quarter totaling 980,044 square feet, with 4,281,701 square feet still under construction at the end of the quarter. Net absorption for the overall Boston office market was positive 27,397 square feet in the fourth quarter 2018. That compares to positive 2,214,406 square feet in the third quarter 2018, positive 754,534 square feet in the second quarter 2018, and positive 173,235 square feet in the first quarter 2018. Tenants moving out of large blocks of space in 2018 include: PTC, Inc. moving out of 307,253 square feet at 140 Kendrick Street; and Novartis Institutes moving out of 255,440 square feet at 100 Technology Square; and GE Healthcare moving out of 208,101 square feet at 200 Forest Square.Tenants moving into large blocks of space in 2018 include: Shire moving into 226,678 square feet at 75-125 Binney Street; SharkNinja moving into 211,610 square feet at 89 A Street; and The Boston Consulting Group moving into 196,247 square feet at 200 Pier Four Boulevard. The Class-A office market recorded net absorption of positive 62,052 square feet in the fourth quarter 2018, compared to positive 1,454,303 square feet in the third quarter 2018, positive 750,470 in the second quarter 2018, and positive 175,006 in the first quarter 2018. The Class-B office market recorded net absorption of negative 195,513 square feet in the fourth quarter 2018, compared to positive 647,811 square feet in the third quarter 2018, positive 42,936 in the second quarter 2018, and negative 37,345 in the first quarter 2018. The Class-C office market recorded net absorption of positive 160,858 square feet in the fourth quarter 2018 compared to positive 112,292 square feet in the third quarter 2018, negative 38,872 in the second quarter 2018, and positive 35,574 in the first quarter 2018. Net absorption for Boston’s central business district was positive 59,235 square feet in the fourth quarter 2018. Thatcompares to positive 1,034,281 square feet in the third quarter 2018, positive 473,235 in the second quarter 2018, and positive 463,995 in the first quarter 2018. 281,299 in the second quarter 2018, and negative 290,760 in the first quarter 2018. 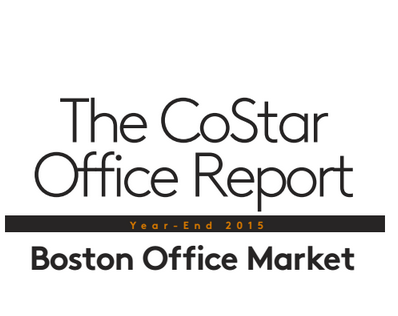 The office vacancy rate in the Boston market area increased to 7.6% at the end of the fourth quarter 2018. The vacancy rate was 7.4% at the end of the third quarter 2018, 7.5% at the end of the second quarter 2018, and 7.6% at the end of the first quarter 2018. Contact us to find out more about current industrial market conditions. Net absorption for the overall Boston Industrial market was positive 459,615 square feet in the fourth quarter 2018. That compares to positive 1,472,719 square feet in the third quarter 2018, positive 462,206 square feet in the second quarter 2018, and negative 1,074,822 square feet in the first quarter 2018. Tenants moving out of large blocks of space in 2018 include: AMSC moving out of 355,000 square feet at 64 Jackson Road, Quad/Graphics moving out of 350,000 square feet at 1133 County Street, and Barnett moving out of 210,000 square feet at 26 Milbury Street. Tenants moving into large blocks of space in 2018 include: FW Webb moving into 785,000 square feet at 10 Webb Drive, FedEx Ground moving into 361,952 square feet at 100 Pine Hill Drive, and Quiet Logistics moving into 355,000 square feet at 64 Jackson Road. The Flex building market recorded net absorption of negative 45,039 square feet in the fourth quarter 2018, compared to positive 200,463 square feet in the third quarter 2018, negative661,116 in the second quarter 2018, and negative 810,469 in the first quarter 2018. The Warehouse building market recorded net absorption of positive 504,654 square feet in the fourth quarter 2018 compared to positive 1,272,256 square feet in the third quarter 2018, positive 1,123,322 in the second quarter 2018, and negative 264,353 in the first quarter 2018. The largest lease signings occurring in 2018 included: the 489,950-square-foot lease signed by BlueLinx at 419 Maple Street in the Route 495 South market; the 355,000-square-foot deal signed by Quiet Logistics at 64 Jackson Road in the Worcester market; and the 302,032-square-foot lease signed by Rolf C. Hagen Corp. at 305 Forbes Boulevard in the Attleboro/New Bedford market. Contact us to find out more about current office market conditions.